Northwest Lexus | Blog | What’s in a seat? If they’re in the Lexus ES, an awful lot. Most people are aware of the immense amount of research and development required to create a new engine or a transmission, but ergonomics take up just as much time as the rest of the car. The seats are arguably the most vital component of the entire cabin. They have to support you and hold you firmly in place but be soft enough to keep you energized and relaxed for hours on end. 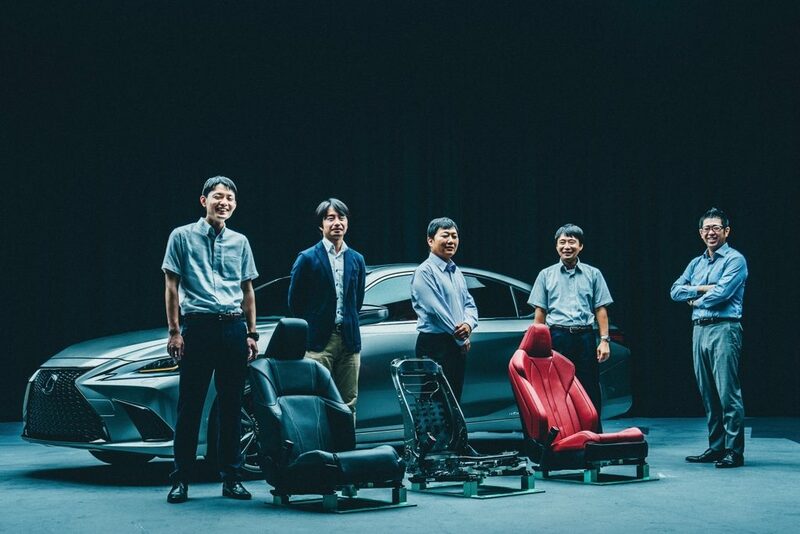 Lexus, a brand whose attention to detail is second to none, spends a ridiculous amount of time designing and building their seats. The seats found in the new ES took three years to develop alone. So, now that we know what their aim was, let’s take a look at how they’ve managed to achieve it. For starters, the seat has to be comfortable and soft but supportive at the same time. It has to give the driver feedback but not be jarring and full of vibrations. Achieving such contrasting qualities is what lies at the very core of the Lexus YET design philosophy–thrilling yet luxurious, comfortable yet powerful–and what made the development of these seats take over three years. Then there’s the matter of accommodating different body types. The ES occupies a rather broad segment where customers vary in weight, height, bone structure, etc. The seats had to be designed with all of these characteristics in mind. To address those issues, the seats were composed of polyurethane foam wrapped around a traditional iron frame. The cushion is actually flat, but the sides have been propped up to provide hip support. To make the cushion suitable for smaller body types, the engineers have incorporated subtle depressions in the surface. They also laminated a layer to the top of each seat. That’s just the standard seat, however. 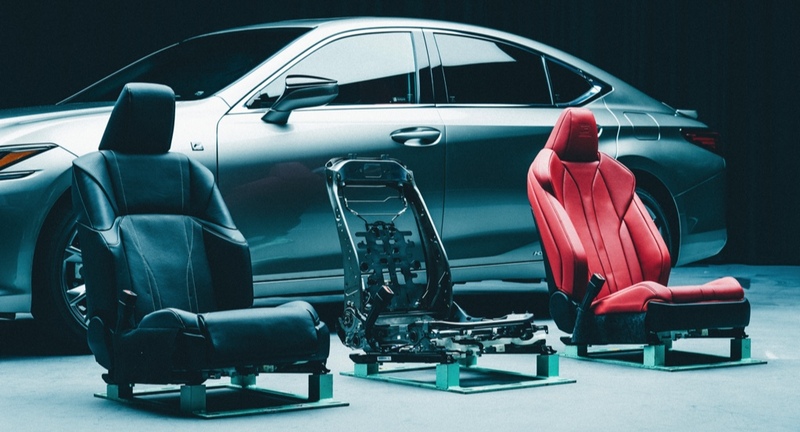 The sport seats found in the F SPORT car bring with them an entirely new set of challenges. They have to offer a lot more side support and feedback compared to traditional seats. To achieve this, engineers have designed the seats to conform to the occupant’s body type. As a result, the current sport seats are bespoke for the F SPORT ES. Current Top Gear presenter Chris Harris stated that the seats found in the GS F (similar in design to those in the F SPORT ES) are probably the best seats he’s sat in in the last five years or so. That’s high praise coming from a motoring journalist who’s sat in practically every sports car in the last two decades. If you want to learn more about the new seats in the ES or try them out yourself over the course of a test drive, don’t hesitate to send us a message or give us a call.